Ariana Allen | The PHOENIX The men's volleyball team has already beat five ranked opponents this season, matching last year's total. The Ramblers are 5-2 against ranked teams so far this year, including a win over then-No. 3 BYU. No. 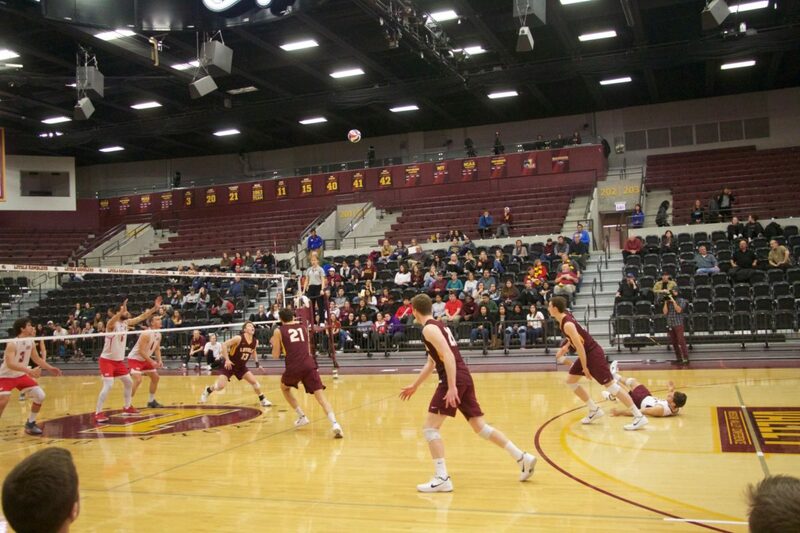 6 Loyola men’s volleyball team (7-2) is set to begin Midwestern Intercollegiate Volleyball Association (MIVA) play Feb. 9. After a 3-1 victory over No. 13 University of Southern California, the Ramblers will head into conference play with a five-game winning streak. The Ramblers have played six top-15 teams in nine games, giving them a challenging schedule that doesn’t get any easier. As the Ramblers move into conference play, they’ll face more top-ranked teams. Senior middle blocker Jeff Jendryk said beginning the season against teams mainly from the West Coast helped the Ramblers build confidence. Hulse said teams from the West Coast play a different style of volleyball as they are used to playing on a beach. The west coast teams play a faster style which helps the Ramblers in conference play, according to Hulse, the Ramblers have picked up on that faster style and can use it against the slower MIVA teams. Although the ability to play the game well is important, scouting the other teams is something Hulse plans on doing, even more so with the conference teams. Hulse said the team’s knowledge of the game is high this season because of its tough non-conference schedule and he credits that to the seniority of the players, in addition to the athletes they’ve brought in, such as first-year setter Garrett Zolg. The experience against teams from California will help against teams in MIVA, according to Hulse. When it comes to the toughest team in MIVA, Hulse said it’s a toss up between The Ohio State University, Ball State University, Lewis University and Loyola. With anywhere from four to five teams in the top 15, Hulse said he doesn’t think anybody is going to go 16-0. Although the Ramblers are the holders of a five-game winning streak, they aren’t letting that affect their preparation. Ohio State is coming off back-to-back championships and was ranked No. 1 going into the season. The American Volleyball Coaches Association (AVCA) poll released Feb. 5 has the Buckeyes ranked No. 5, and Aylsworth said he knows they’re going to be a tough team to face. 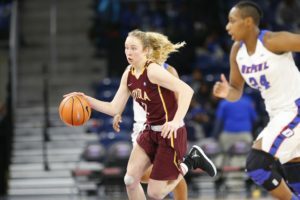 Loyola is set to play in-state rival No. 8 Lewis University Feb. 28. Jendryk said most of the players are looking forward to the match. While the Ramblers don’t plan to physically prepare any differently for their conference matchups, Hulse said since they’re more familiar with the teams they’re facing, the mental preparation could be a little different. Although it’s nice to be familiar with one’s opponent, Hulse said sometimes it makes playing those teams more challenging. The Ramblers are scheduled to open MIVA play against Quincy University Feb. 9 at Gentile Arena.